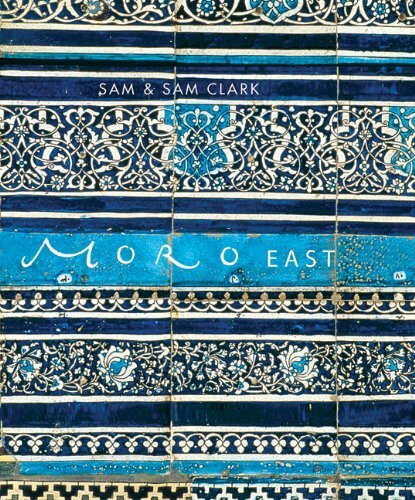 Moro East follows a year in the life of this East End allotment, reflected in recipes that are unusual without being daunting. Sam and Sam experiment with plants that can be eaten at various different stages of their growth; they include recipes for parts of the crop that might otherwise be discarded (celery leaves, pea shoots, poppy leaves), even making use of produce that does not ripen, such as green tomatoes. They also offer recipes to use up the gluts of produce at the end of the growing season, such as chilli jam, tomato preserve and pickled garlic. Many of the recipes reflect everyday activities at the allotment – Turkish women rolling flatbreads or clipping the young vine leaves to make dolmades, families gathering to grill kebabs at the weekend – and the spirit of the community is captured in the photographs and the dishes. The 150 imaginative and seasonal recipes include Moro favourites and new combinations such as pigeon salad with figs, chickpeas and pomegranate molasses, tortilla with onion tops, and courgette and yoghurt soup.